The Psalmist cried out to God, “Before I was afflicted I went astray. But now I trust in Your Word.” (Psalms 119:67) I certainly identify with that statement. It was easy to wander before I found myself in this present affliction. Now my suffering renders me helpless and in a constant state of neediness before my Savior. Paul also said in 2 Corinthians 12:10 “….I take pleasure in my weaknesses and in the insults, hardships, persecutions, and troubles that I suffer for Christ. For when I am weak, then I am strong.” He also recognized that the suffering he experienced, caused him to rely wholly on his precious Savior. I think Ruth could identify with this kind of desperate hunger for God, too. 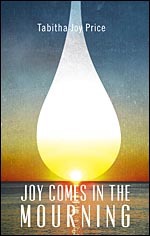 In this tiny four chapter book in the Old Testament, the story of God’s incredible redemption unfolds. Ruth was from the land of Moab. She had married an Israelite man who had moved to Moab with his family because of a famine that was devastating Israel’s food supply. But shortly after their marriage, he died. Ruth’s father-in-law and brother-in-law also died, leaving her a sister-in-law from Moab and a foreign mother-in-law. Ruth had no hope of remarrying in that family. Both sons were dead, and to make matters worse her father-in-law was gone too. Her hopes and dreams had been crushed. When her mother-in-law Naomi decided to return to Israel, Ruth said she would go with her. But Naomi objected. She felt that Ruth should stay in her own land and with her own people. However, I believe Ruth had allowed the tragedy in her life to drive her to a point of hungering after God. He was using the great loss she suffered to draw her to Himself, for this was her response to Naomi: “Don’t ask me to leave you and turn back. Wherever you live, I will live, wherever you go, I will go. Your people will be my people. And your God will be my God.” Ruth forsook her old life, her homeland, and all the comforts it offered. She was that desperate for God. When we are desperate for God, the lesser comforts of this world no longer distract us. I know that I have found more pleasure in my pursuit of God in recent years than in many previous years as a believer. For one thing, I have found satisfaction in Him that I can find nowhere else. Furthermore, the lesser pleasures of this life, don’t offer the same kind of comfort and satisfaction they once did. Affliction has driven me into the arms of my Savior, and I trust His Word, more completely than ever before. That is the gift of God’s Hand in our weaknesses. One Response to "Affliction’s Gift"